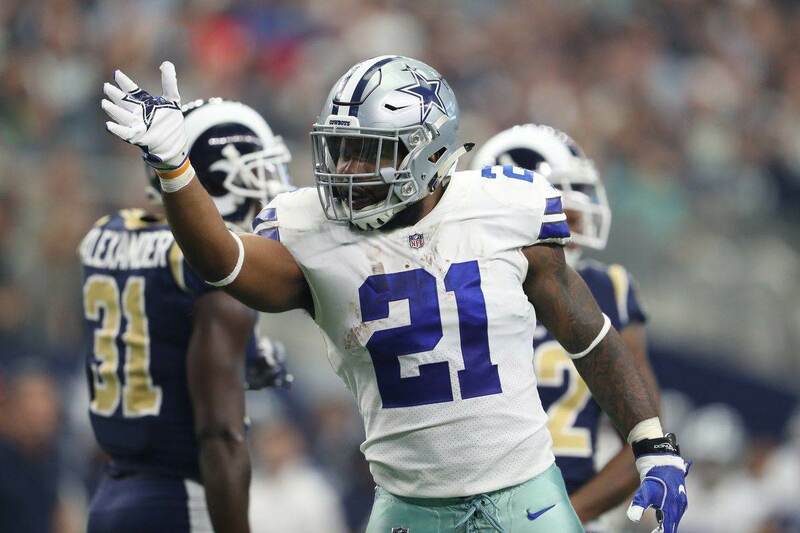 The Dallas Cowboys have created the identity they’ve been looking for since 2014 when we first saw them take the run-first approach that led to a playoff berth and first round victory over the Detroit Lions. The problem that season is they didn’t have the defense that the Cowboys have been looking to create since bringing Rod Marinelli on board. 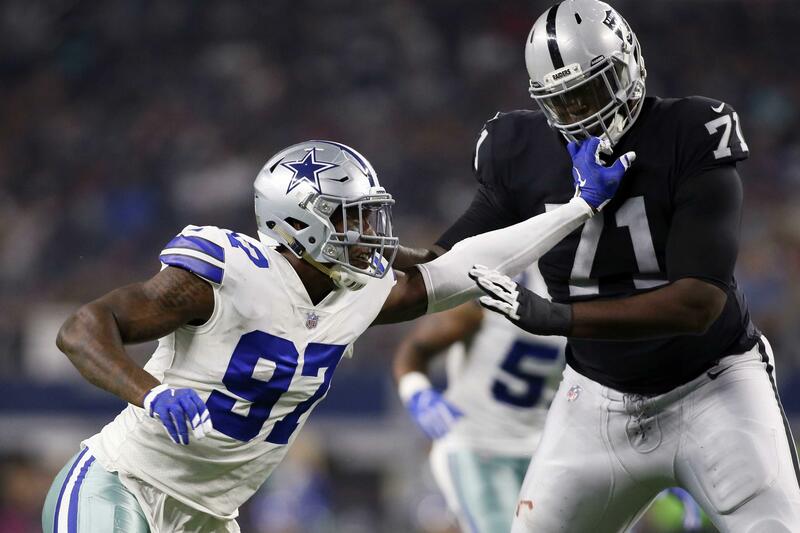 When Rod Marinelli came over after coordinating the Chicago Bears defenses, the expectation was he’d create a defense that would be capable of taking over football games. Those Bears defenses were led by a couple of dynamic linebackers in Brian Urlacher and Lance Briggs. Well, if you haven’t noticed, this Rod Marinelli defense is being led by two dynamic linebackers. Jaylon Smith and Leighton Vander Esch. Before I get started on how great these two have been, this isn’t meant to minimize the efforts by Byron Jones or DeMarcus Lawrence, two players making All-Pro cases this season. What we’re seeing out of Smith and Vander Esch is how having two athletic, physical, fast linebackers can completely transform your defense. Their ability to flow sideline to sideline and make plays in the running and passing game has been monumental for the Cowboys defense and you saw it on display on Thursday night. They’ve been solid and spectacular and have completely changed the feel of this defense. 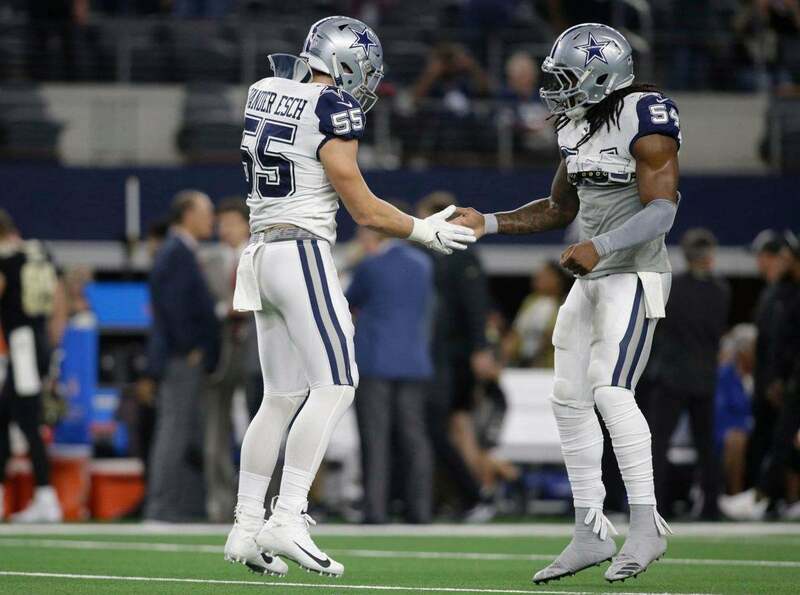 Jaylon Smith has been a physical presence in the middle, blowing up running plays and sacking the quarterback and cleaning up misses by other members of the team, like when Smith beat Alvin Kamara to the goal line when Byron Jones missed the tackle. Leighton Vander Esch looks like he’s been in the league a long time. He’s been the surest tackler on the team. When he gets his claws latched onto a player they almost always go down. The two of them haven’t been perfect in pass coverage, but they haven’t allowed a lot of big plays either. And both have shown amazing range in pass defense. Remember when Jaylon was running with Odell Beckham Jr. way down field? I do. That kind of speed and athleticism is rare in a 250 pound linebacker. And the Cowboys have two of them. Pro Football Focus has Leighton Vander Esch ranked as their second best linebacker in the NFL this season. Jaylon Smith is ranked 8th. The Carolina Panthers are the only other team in the NFL with two linebackers graded in the top 10. Vander Esch, in his rookie season is leading the NFL in solo tackles with 85. 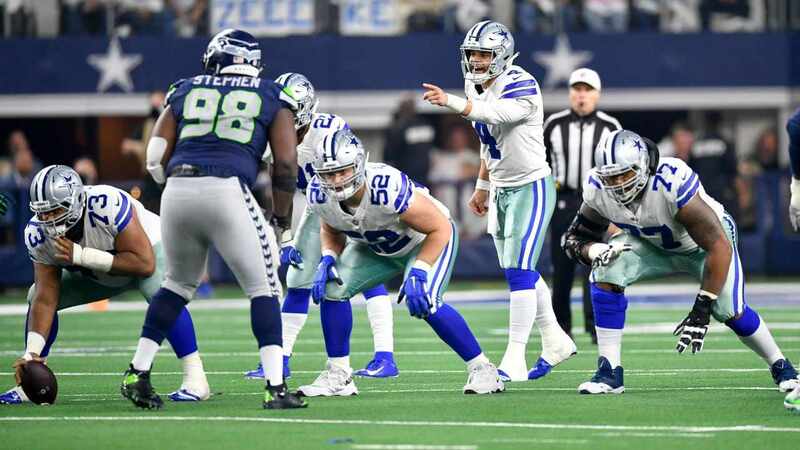 He’s dimension that after sharing snaps with veteran Linebacker Sean Lee and filling in the last several games with Lee out with a Hamstrings injury. Jaylon Smith is in the top 20 as well. Smith is also sixth among linebackers in total pressures (hurries, hits, and sacks) and is tied for fourth in the NFL in sacks among linebackers. Leighton Vander Esch is second in the NFL in stops, which is defined by Pro Football Focus as a play that results in a “loss” for the defense. Jaylon is ranked sixth. These guys are going to be wrecking the NFL for years to come. Cowboys Reinforcements on the Way, How Should Dallas Deploy Them?